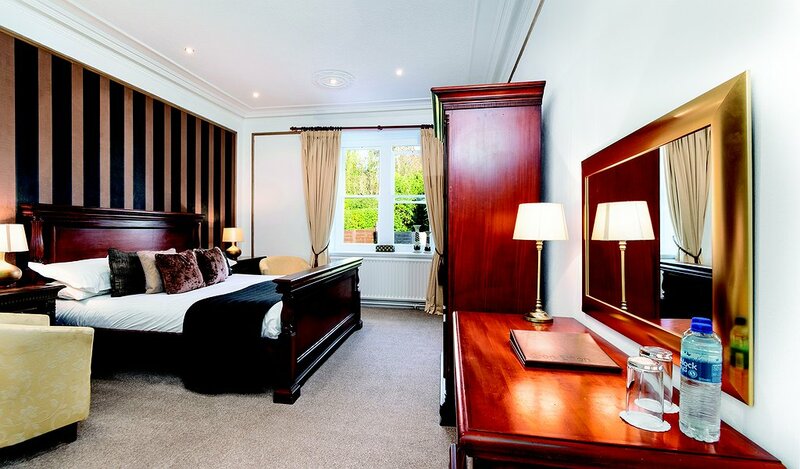 There are 5 Deluxe rooms located on the first floor, some with garden and sea views. 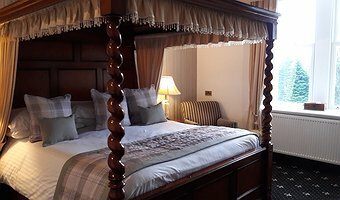 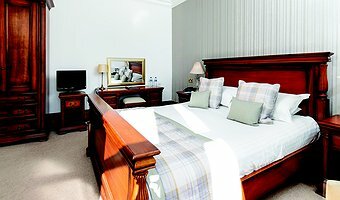 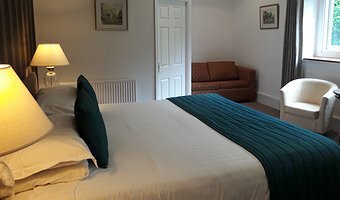 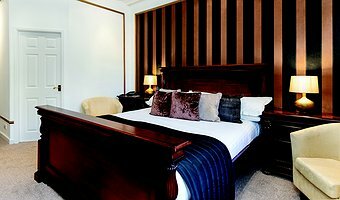 These spacious rooms have 6ft ornate S/King size beds , and the amenities of the room include ensuite bath with shower, tea and coffee making facilities, complimentary still water. 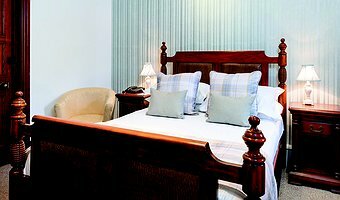 Flat screen TV with free view, free WiFi access, hair-dryer, complimentary toiletries, bathrobes and telephone. 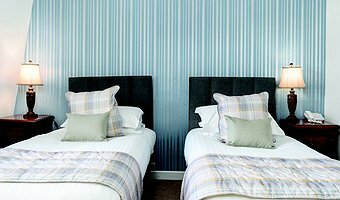 Ironing facilities can be provided.